The US has reached a deal with Chinese tech firm ZTE that will remove a ban that prevented the company from buying parts from US suppliers, Commerce Secretary Wilbur Ross has said. The US had blocked ZTE's access to American suppliers, saying it had violated a sanctions settlement. China's President Xi Jinping asked the US to reconsider that punishment, which forced ZTE, the world's fourth-largest mobile phone maker and a major employer in China, to suspend major operations. 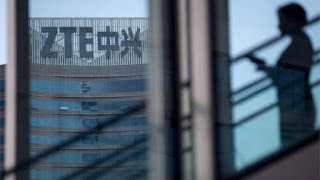 Mr Ross said the fine was the largest penalty ever levied by Commerce's Bureau of Industry and Security and pledged to continue monitoring ZTE's behaviour.